A Public Works official has been placed on administrative leave as the result of an internal investigation into a local contractor’s dealings with the city and potentially overcharging for services. 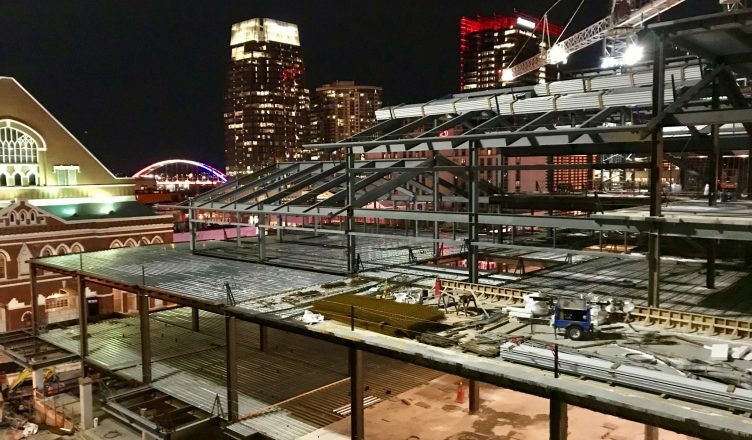 The inquiry was prompted by a series of photos taken of the contractor’s staff at an SEC tournament game at Bridgestone Arena on a day they were billing the city. Some parents are pretty upset at local school districts’ decision to cancel classes on Wednesday with little lead time before school started. Students that were already on their bus routes when the drivers had to turn around and return them home. The City of Nashville and the Mental Health Cooperative are opening a no-fee crisis center for mental health, which will provide psychiatric assistance 24-hours a day. The goal is for patients to come to the center instead of the emergency room of local hospitals. Vanderbilt University will begin selling alcohol in a lounge area during home baseball games against SEC opponents. A bill passed last May allows universities to sell alcohol at sporting events. As the temperatures drop, you might want to consider some small changes to help avoid a very painful utility bill. There are resources available if you or anyone you know needs assistance with their utility bills. A Memphis lawmaker has introduced legislation that would allow people serving time in prison to qualify for the state’s Tennessee Promise program, which provides a cost-free associate’s degree. The lawmaker says the rehabilitation effort would allow those individuals to enter society with valuable training. The NFL Draft set for April will be held outdoors on lower Broadway and will feature a “Draft Village” for fans and media, a first for the annual event. The actual draft floor, where team executives will make their picks, will be inside the nearby Schermerhorn Symphony Center. A report indicates that the city itself might not benefit as much from the event because of the way it structures tax incentives for downtown businesses. Predators forward Austin Watson, who served an 18-game suspension stemming from a domestic violence incident in the off-season, has entered Stage Two of the NHL’s Substance Abuse and Behavioral Health Program. He is again suspended from the team until cleared by league doctors while dealing with alcohol abuse. This piece from The New Yorker is definitely worth a read if you’re a fan of Nashville’s famous hot chicken. As we approach the anniversary of her surprise resignation amid an admitted extramarital affair and admitted theft, the Metro Council will consider a resolution formally censuring former Megan Barry. Supporters of the move say it is important to have on record, while opponents dismiss it as a waste of time. The Metro Council will also consider a resolution this week honoring local journalist Joey Garrison, who is moving to Boston. Good luck!